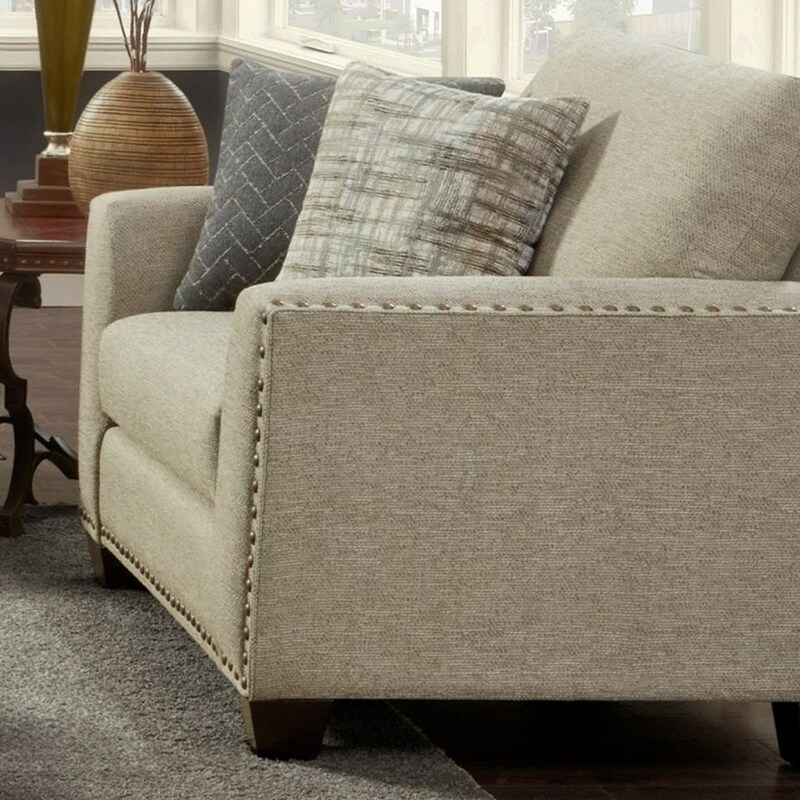 Large scale nailhead trim adds a classic touch to this contemporary chair and a half. It offers a sophisticated design with flared arms. Two accent pillows complete the spacious chair's look. It features performance fabric upholstery to resist stains, perfect for an active lifestyle. The 1430 Contemporary Chair and 1/2 with Nailhead Trim by VFM Signature at Virginia Furniture Market in the Rocky Mount, Roanoke, Lynchburg, Christiansburg, Blacksburg, Virginia area. Product availability may vary. Contact us for the most current availability on this product. Browse other items in the 1430 collection from Virginia Furniture Market in the Rocky Mount, Roanoke, Lynchburg, Christiansburg, Blacksburg, Virginia area.